Cyclists will ride through the rolling hills of Dane and Green Counties on Saturday, June 2 to support the next generation of dairy and livestock farmers. 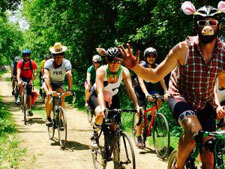 The University of Wisconsin–Madison’s School for Beginning Dairy and Livestock Farmers (WSBDF) is currently accepting registrations and pledges for its 15th annual Ride to Farm fundraiser. Cyclists can opt for a full-day 100-kilometer ride over rolling hills (about 62 miles), or a shorter half-day route of about 30 miles. The event starts and finishes at Goodland County Park, located at 2862 Waubesa Ave. in Madison, Wisconsin, and includes farm rest stops along the way and lunch at Culver’s Restaurant in New Glarus, Wisconsin. Riders will receive an inspiring send-off at 8:30 a.m. from Cates, who will be retiring from WSBDF later in June after serving 24 years as director. After the ride, Wisconsin-made bratwursts will be served and Crystal Siemers-Peterman, the 70thAlice in Dairyland, will present awards to the top fundraisers and best costumes during a short ceremony at approximately 3:30 p.m. Individual riders and teams can sign up, solicit donations and track pledges at: ridetofarm.dojiggy.com. Supporters can also go to the site to make pledges to riders or direct contributions to the WSBDF. Each rider must raise at least $75 to participate. Teams collecting the most pledges will receive trophies. Prizes for top individual fundraisers include a Trek road bike, vouchers for 52 free Organic Valley products in one year, gift certificates to Erik’s Bike Shop, a pair of tickets to American Players Theatre, a Ride to Farm jersey, and a copy of Voices from the Heart of the Land: Rural Stories that Inspire Community, a book written by Cates. The route includes rest stops on two area farms where riders can sample locally-produced cheeses and other treats provided by farm families. The morning stop is at Fisher Valley Dairy Farm, a 50-cow grazing dairy near Oregon, Wisconsin. Thomas Grady and his son, TJ, are both graduates of the Wisconsin School for Beginning Dairy and Livestock Farmers (2002 and 2016, respectively). Their farm has been in the family since 1898. The afternoon stop is at Pauli Dairy Farm, a 50-cow organic and grass-based dairy near Montrose, Wisconsin. Tim Pauli has been farming for 33 years. 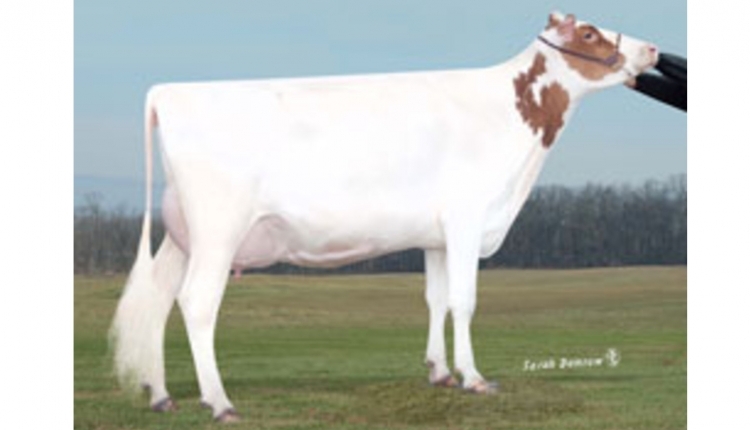 He was part of the dairy grazing cooperative from which several members helped to launch the Wisconsin School for Beginning Dairy and Livestock Farmers in 1995. The Wisconsin School for Beginning Dairy and Livestock Farmers emphasizes managed grazing. It provides classroom instruction, on-farm internships, business planning and mentoring to aspiring farmers. Students from across the state are able to participate in the program via distance education sites. The WSBDF is a partnership between the Center for Integrated Agricultural Systems and the Farm and Industry Short Course, both programs of UW–Madison’s College of Agricultural and Life Sciences. Ride to Farm sponsors for 2018 include: Compeer Financial, Culver’s Restaurants, FarmFirst Dairy Cooperative, Organic Valley, Wisconsin Cattlemen’s Association and Wisconsin Farmers Union. For more information about Ride to Farm, contact Nadia Alber at nalber@wisc.edu or (608) 265-6437, or visit http://ridetofarm.dojiggy.com.